What changes with the new Child Care Subsidy? 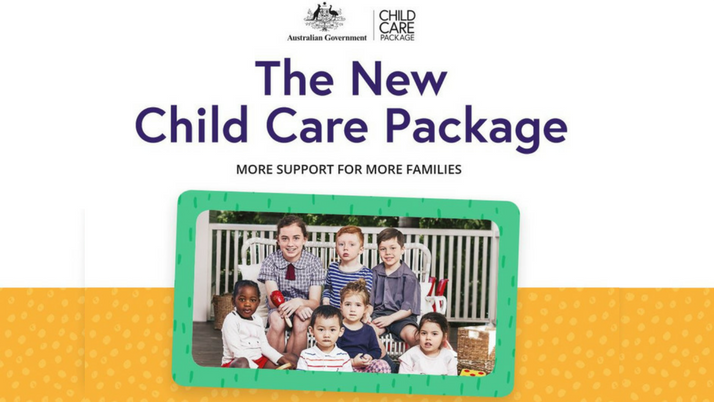 The Australian Government has changed the Child Care Benefit (CCB)/ Child Care Rebate (CCR) subsidy and implemented a new child care package called the Child Care Subsidy. It makes child care more flexible, accessible and affordable for families. Update: The CCS came into effect 2nd July, 2018 this year. To calculate your net weekly fee, try our new interactive calculator. * Families will receive a fortnightly statement via email of child care usage from Kids Club, which includes the payment of the subsidy and out of pocket costs. What determines a family’s level of child care subsidy? * Families earning $65,710 or less will receive a subsidy of 85% of the actual fee charged (up to 85% of an hourly rate cap). 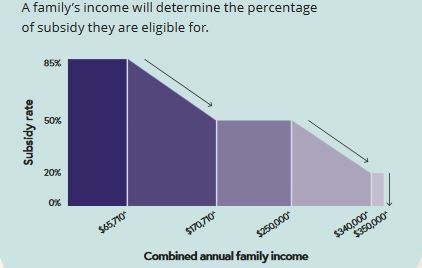 * Family incomes above $65,710 – the subsidy gradually decreases to 20% when family income between $250,000 and $340,000. * For families with incomes of $350,000 or more, there is no subsidy. Please click here to try our interactive Child Care Subsidy Net Weekly Calculator to determine you out of pocket expenses at Kids Club. Please click here to view the Child Care Subsidy estimator from Centrelink. The number of hours of subsidised care will be determined by an activity test. The higher the level of activity, the more hours of subsidised care families can access, up to a maximum of 100 hours per fortnight. •other activities on a case-by-case basis. As parent two has the lower activity, the family is eligible for 72 hours per fortnight of subsidised child care. The package also provides targeted additional fee assistance through a new Child Care Safety Net. 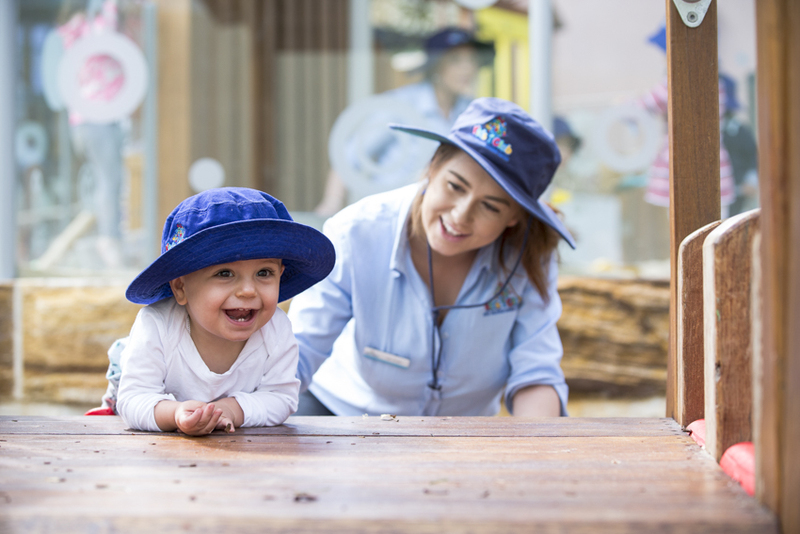 The Additional Child Care Subsidy (July 2018) – a top up payment for families who are genuinely disadvantaged. Refer to the new child care package Child Care Safety Net factsheet for additional information. Note: the government will be holding back 5% of CCS paid to families until reconciliation at the end of every financial year. This balance will be paid back to families in their tax return if they are eligible. Under the new system, existing child care payments will be replaced with the Child Care Subsidy and Additional Child Care Subsidy. Centrelink will contact families directly to provide information on current entitlements and how they may change under new arrangements. This may include asking families for additional information, to ensure that they move onto the new payment system smoothly.